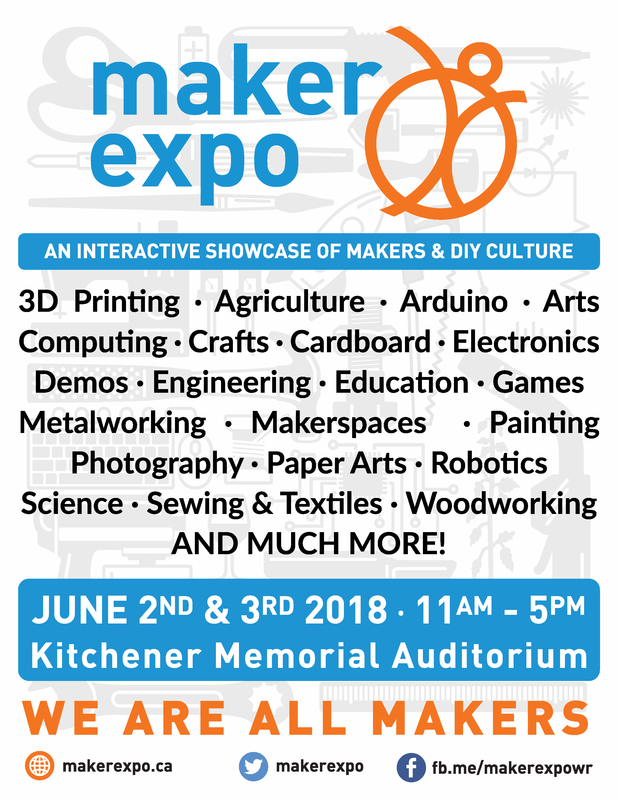 Kitchener’s Maker Expo, an interactive showcase of makers & DIY culture, is coming up Saturday and Sunday, June 2nd & 3rd, 2018, at the Kitchener Memorial Auditorium—Kinsmen Arena. The show runs from 11am to 5pm both days and admission is free! 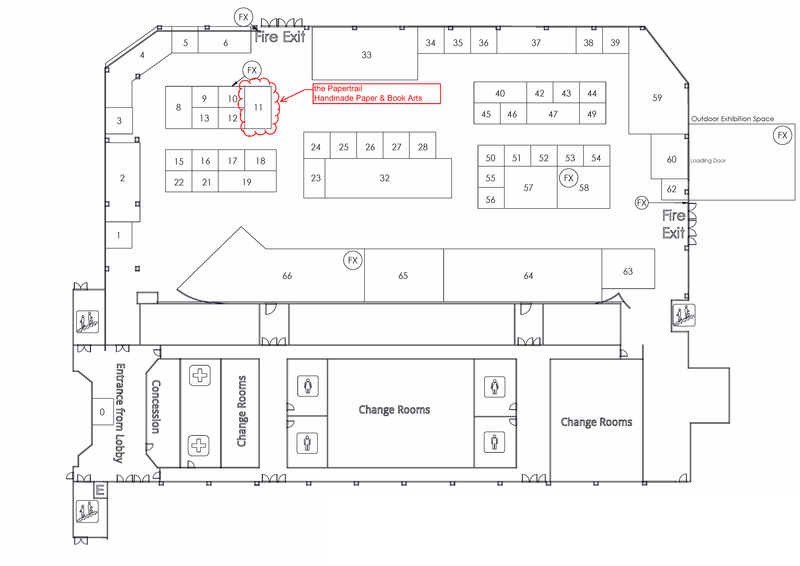 the Papertrail will have a booth at the show (half of #11—see the floor plan below) where we will be demonstrating hand papermaking and you can make your own sheet of paper too! We have room for a second table in our booth but we haven’t decided what we’ll show there yet. The last Maker Expo was in 2016 at Kitchener City Hall and was a great success, and we’re looking forward to another great event this year. We were assigned to a new spot today so this post has been updated to reflect the new location. …aaand the floor plan has changed again, so although the plan posted here is no longer correct, it still shows our general location in the Kinsmen arena.